Blind Eye Books, 9780978986155, 197pp. The city of Leiodare is unlike any other in the post-climate change United State. Within its boundaries, birds are outlawed and what was once a crater in Appalachia is now a tropical, glittering metropolis where Anna Armour is waiting. An artist by passion and a factory worker by trade, Anna is a woman of special gifts. She has chosen this beautiful, traumatized city to wait for the woman she's lost, the one she believes can save her from her troubled past and uncertain future. When one night Anna creates life out of thin air and desperation, no one is prepared for what comes next-not Lucine, a smooth talking soothsayer with plans for the city; Lucine's brother Eugenio who has designs of his own; Seife, a star performer in the Leiodaran cosmos; or Rory, a forefather of the city who's lived through outbreak, heartbreak, and scandal. 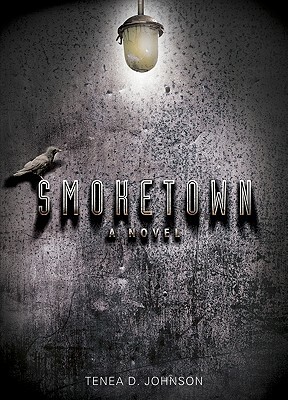 Told through their interlocking stories, Smoketown delves into the invisible connections that rival magic, and the cost of redemption.